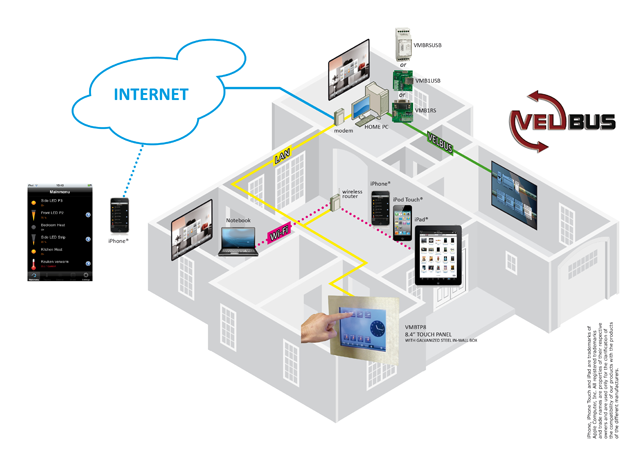 To use Home center software you need a working Velbus home automation installation. Home center can be installed on one or more PC’s in your home network. One PC needs to be connected to the home automation system. This PC will operate as server for the other user interfaces (Home center clients on Windows and iPhone). Of course, the PC that hosts the server application can also have the user interface installed. Home center is designed to operate on a touch panel. But it is perfectly possible to operate on a regular PC, laptop or hand-held device with Windows XP, Vista or Windows 7. Home center server and client run on a windows PC. Home center for iPhone runs on iOSx and must be acquired separately from the Apple App store. Windows XP, Windows 7 or Windows Vista. Home center has been successfully tested on some of the embedded versions. However we are not able to provide support for these. Microsoft .Net Framework 2.0 of higher. Home center is a very light weight software and does not require a very extensive hardware setup. The out-of-the-box solution. Home center server is pre-installed. 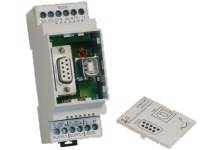 The VMBHIS module must be connected to Velbus. If you decide to set up your own system, any PC purchased from your PC dealer should do. We do recommend to choose a PC with low power consumption. You might want to keep this PC running continuously to get fast access and receive all the updates from the bus. You need an USB or RS232 interface (VMBRSUSB, VMB1USB, VMB1RS) with a cable to connect. iPhone, iPod touch or iPad with access to the App store to download the app. Home center server (windows) is required to connect to the system!